After the release was pushed back, the survival-strategy game now has a new release date and a new trailer. 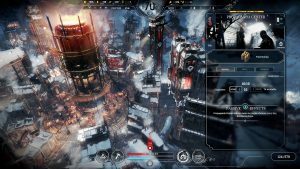 After the game studio 11 Bit Studio finished their popular game This War of Mine they announced a new Steampunk survival strategy game called Frostpunk. After the release of Frostpunk was pushed back, they now revealed in a new trailer that it will be released on April 24th 2018 for PC. The game will feature morally hard decisions to survive in the game just like in This War of Mine.